Mum, why are you going on a course to learn something that you already know about?’. ‘Well,’ I replied to Louis, my 10 year old, ‘there’s always something to learn and improve on. It’s important my clients know that I can provide that little extra and different’. Or is it that I’m a bit too nerdy? 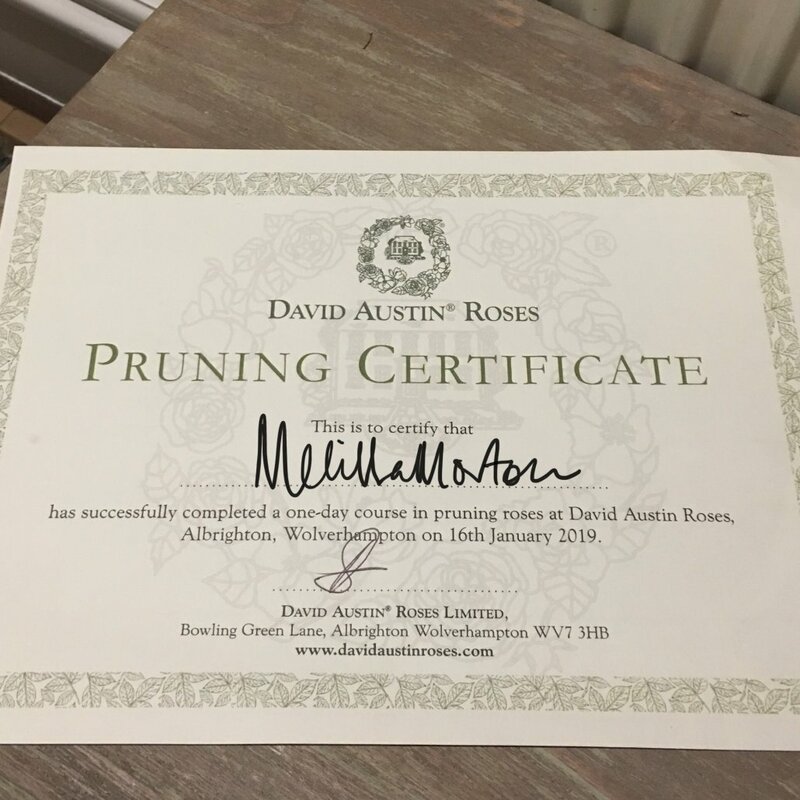 After many years of delay, I finally ‘treated’ myself to the ‘Pruning for Professionals’ at David Austin Roses. Dull for many perhaps? But for me, believe it or not I do enjoy a bit of CPD. 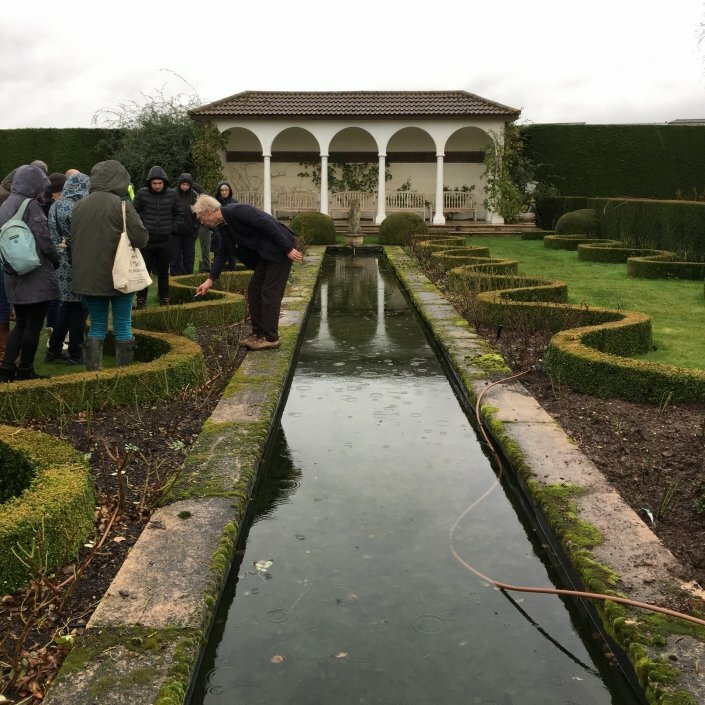 To many in work, I guess Continuing Professional Development is somewhat arduous, but The Society of Garden Designers insist on us meeting a minimum set number of hours per year. This way I can justify it for professional reasons too! 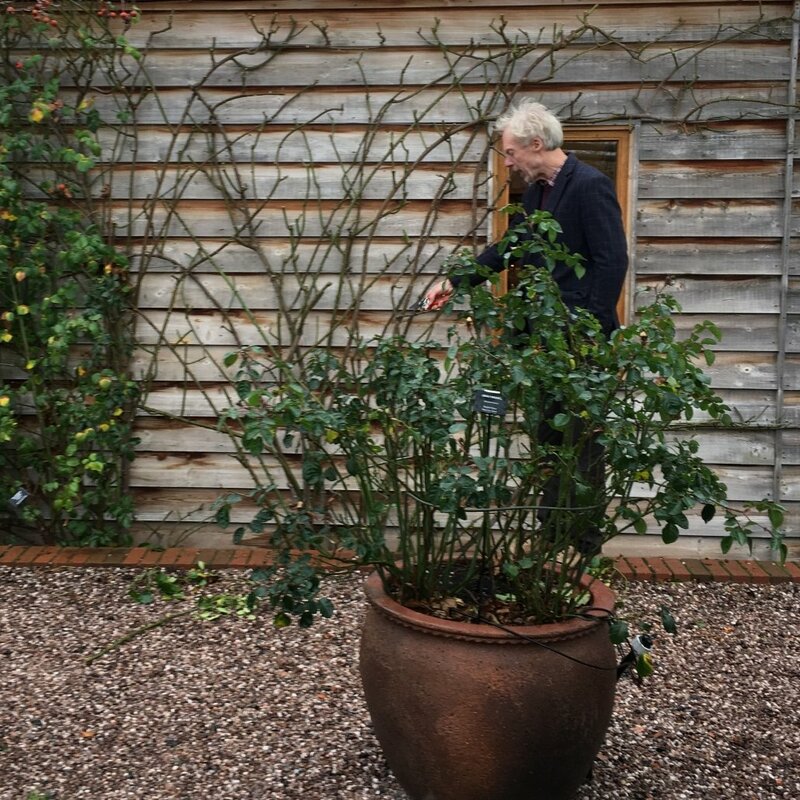 A lot of homeowners are reluctant to plant roses, I think mostly down to the dated style of rose beds from the 1960s and 70’s but also due to their thorniness. What I’ve come to appreciate about them is the wide colour choices they provide (whatever your colour scheme you can find one to suit) but also their impact. Especially if a repeat flowering one is selected – they can start flowering in June and then intermittently through to October. It’s possible to plant them in groups, far closer than most people would think of, which gives a more stunning display. 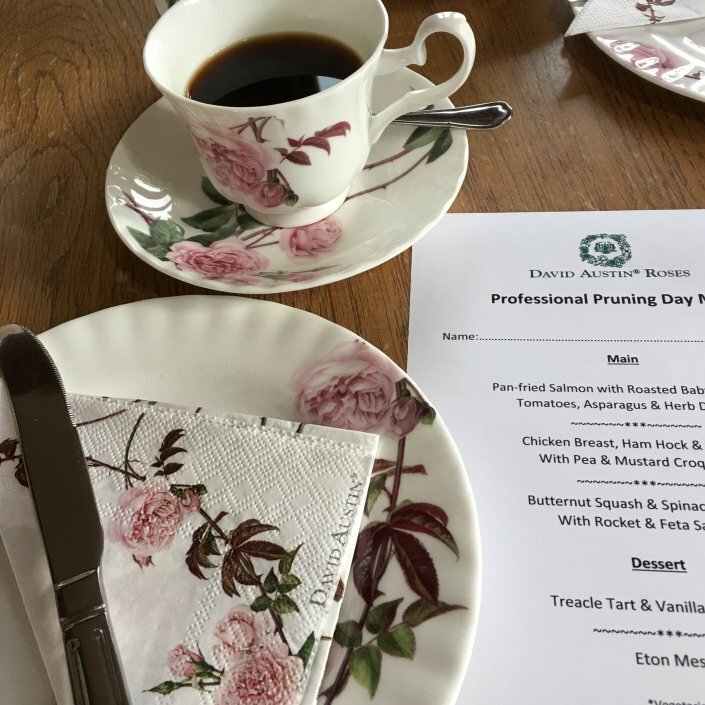 And, despite my horticulture training, I learnt that David Austin prune their roses differently to the methods by the Royal Horticultural Society (RHS)! They don’t bother so much to ‘pruning to an outward facing bud’, clipping out any dieback the following year. 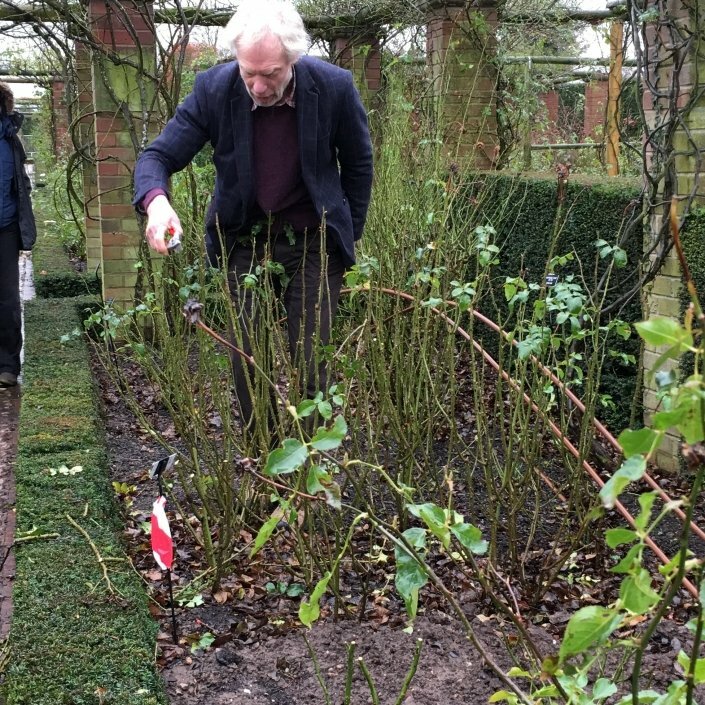 They recommend pruning after Christmas through to February – ideally before dormant buds break. This way the plant is pruned to consider the shape and pruning of side shoots without being too concerned with where the potential buds are. I expect this has a lot to do with the volume of their pruning regime which must be hundreds of roses that need pruning in their show garden each year. Not having to prune to buds precisely must save a lot of time. I also love talking to others on courses. As more often than not, we share hints and tips between us which all help. I met Tanya who told me about Troy’s way of treating roses at Sissinghurst. 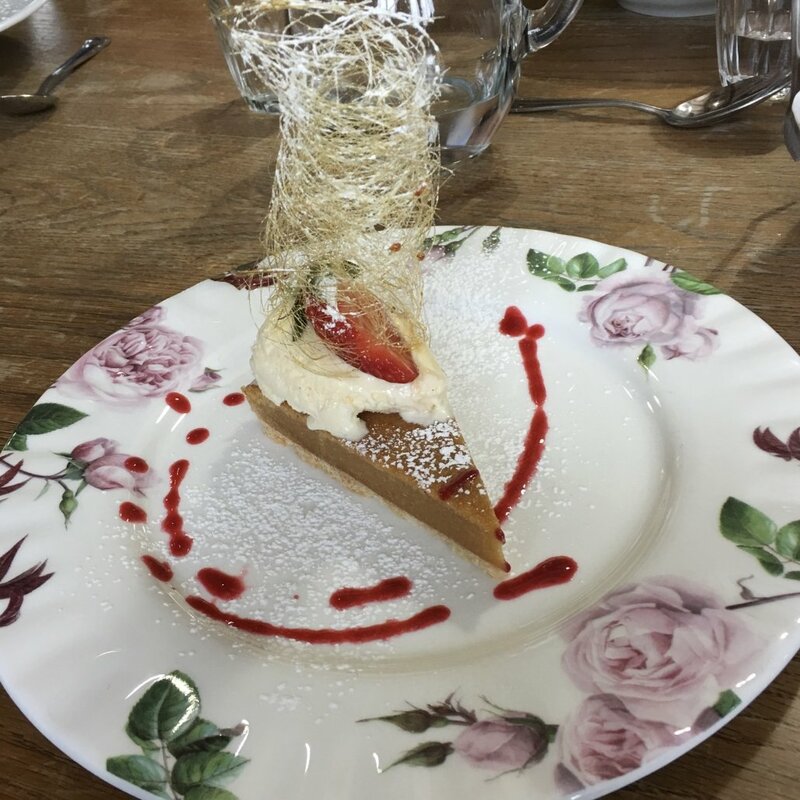 I’ve already started experimenting in Ruth’s garden in Ilkley. 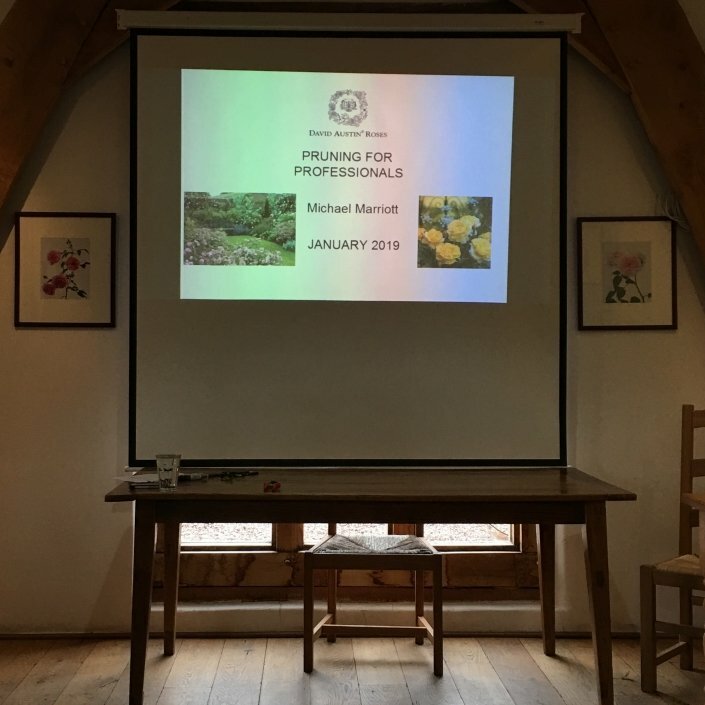 The visit also gave me the added benefit of asking Michael Marriott (the chief Rosarian!) what roses he’d recommend for a couple of my clients. During a One-off Consultation, Susie in Gargrave wanted a hedge effect over a stone wall. Meanwhile Beth in Ilkley is exploring the option to include a wild rose in her woodland garden as part of a Planting Design service. 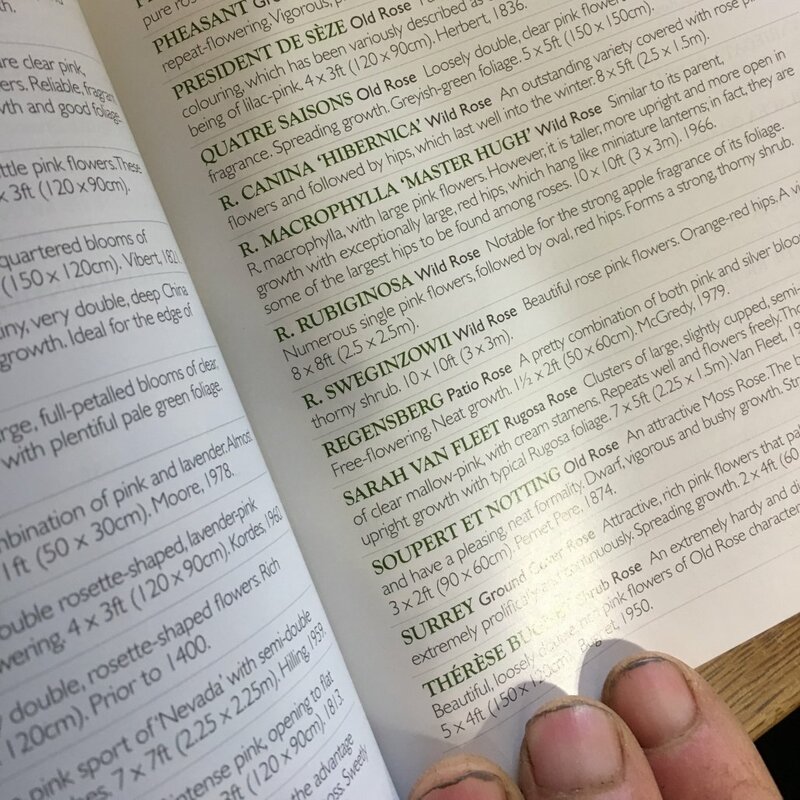 It’s a good time to plant roses, as bare root stock is cheaper to buy and there’s a lot more selection too on offer. Bush, climbing and ramblers – there’s one for most people’s garden.